MultiVisionnaire Pictures arrives in Cannes with mutant creatures, deadly cyclones, and extreme martial arts fighters ready to impress global buyers. to Thailand’s Ong Bak and Indonesia’s Raid: Redemption” as raved by PinoyExchange.com. This high octane action/martial arts film by action director and 8-times World Muay Thai champion Vincent Soberano (“Blood Hunters”) will get audiences on their feet rooting for the underdog. The film revolves around a vicious underground fighting circuit, The Trigonal, ran by a powerful international crime syndicate. They are looking for the strongest and the best fighters for a high-end, groundbreaking experimental competition worth millions of dollars. To force the MMA champion, Jacob Casa, to come to the circuit, they brutally assaulted his wife and murdered his best friend. Leaving him with no other choice but to fight for justice. 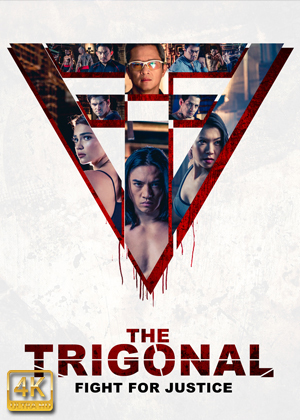 The action-packed film features Ian Ignacio, an actor trained in Taekwondo, Filipino Martial Arts and MMA, the upcoming Chinese female action star and Wushu champion Sarah Chang (“Wolf Warrior 2”) with an ensemble of who’s who in Asia MMA and martial arts world. We ain’t playing around…THIS IS THE REAL DEAL for international audience looking for the next satisfying martial arts film. MARKET SCREENING is on Saturday, May 12 at 13:30 at Palais H.
SHANGRI-LA: NEAR EXTINCTION From the creator of NBC’s hit sci-fi series “THE EVENT,” Nick Wauters, brings this amazing post-apocalyptic creature action thriller to international buyers hungry for C.A.D. (creature action disaster) elements. Mankind has nearly gone extinct after the spread of the plague and the rise of a new, human-made ice age designed to eradicate the plague. 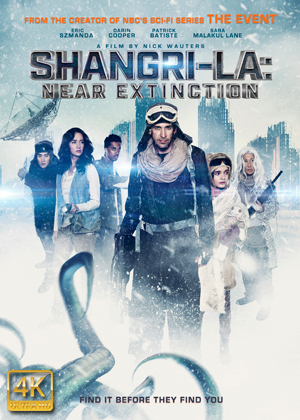 A rag-tag group of survivors led by Vargas (starring Eric Szmanda from CSI) are on a quest for the safe haven known as “Shangri-La,” where their species has supposedly started rebooting civilization. But many dangers stand in their way, including the members of a fanatic mutant sect and a pack of mysterious creatures called “Green Eyes.” Shangri-La provides an epic journey where surprise twists will make you question our humanity while getting your sensical entertainment. 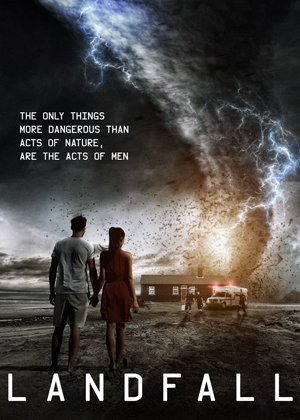 LANDFALL is a new type of disaster film hitting the ground at Cannes — as a young couple tries to escape the approaching deadly storm when they are held hostage by three men in medic uniform with a mysterious icebox. The men have apparently just fled a heist at a hospital and are looking for a local thieves-pawn to trade off their stolen merchandise. Facing the extreme storm outside and an injured man, the fugitives have no choice but to hold the couple hostage while hiding out from the police and the cyclone to blow over. But their plans go awry when Detective-Sergeant Wexler (Vernon Wells of Commando & Mad Max 2) and his assistant visit the house looking for the fugitives and so begins a long night of violence, betrayals, revelations and cat-and-mouse games between the cops, the criminals, and the young couple whose lives have suddenly been plunged into chaos. The couple must rely on their wits and cunning to survive and escape the house as the severe storm looms outside. Distributors and buyers should stop to visit MultiVisionnaire Picture during Cannes Film Festival inside Palais at Rivera F2 from May 8 – May 15, 2018 for an exciting new lineup and some good caffeine.